Serving Charlottesville, VA, Rockport, MA, and everything in between. The blog is where we give away all of our secrets. Shhh, don't tell anyone! (Just kidding- tell all of your friends.) From budget-friendly design tips, links to purchase WKNDR faves, travel, fashion, lifestyle and more! Don't forget to head to our Instagram @WKNDRdesign for daily content and giveaways. Have a design question? Submit to hello@WKNDRdesign.com & you could get a blog post written just for you with free design advice for your space! WKNDR Design offers services for all of your interior design & staging needs. From small spaces to whole-house design- residential & commercial- we do it all! We use a flat-free pricing structure, giving our clients one upfront design fee based on the size and scope of their project. No hourly billing here! That way our clients can stick to their budget and properly financially plan for their project. We feel that everyone deserves to live in a comfortable, styled home! E-design is an accessible and affordable form of interior design that's carried out remotely. E-Design gives your an opportunity to transform the look of your space while being mindful of your time & budget. E-Design packages can be tailored to your specific needs. And don't forget- all Real Estate agents get their first room E-Designed for a listing for FREE! With 4+ years hosting multiple properties on AirBnB and consulting for countless othere, Becky knows all of the tips & tricks to attract more bookings, giving your guests a 5-star experience every time. 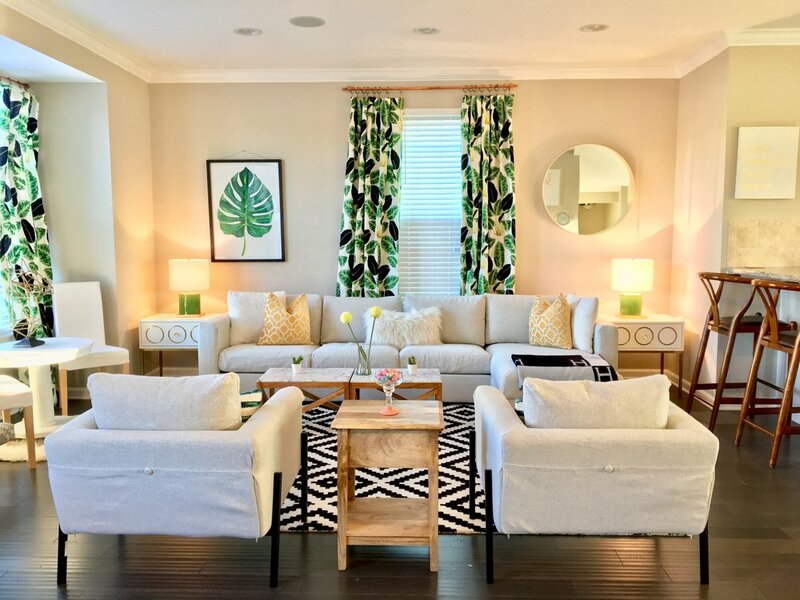 Whether you need help sprucing up your interior, learning the hospitality tricks that will earn you rave reviews, or if you're a new host that isn't even sure where to begin, WKNDR has you covered! We already did the hard work; now let us make you an AirBnB expert & increase your bottom line. Yes! I would love to make more money!